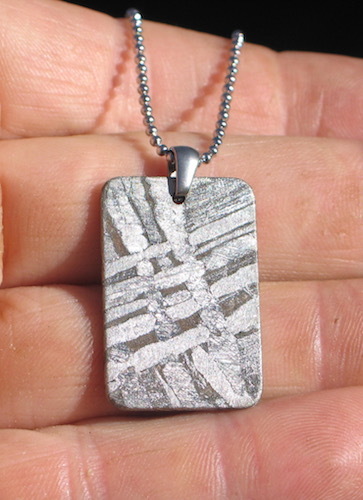 Elegant Sterling Silver & Gibeon Meteorite Necklace (Stock Photo). Approx. dimensions of meteorite 1.5" x 0.75". 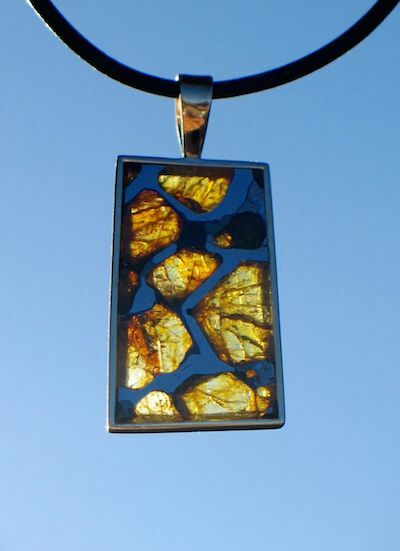 Stunning Gibeon Meteorite & 10k Gold Necklace (Stock Photo). Approx. 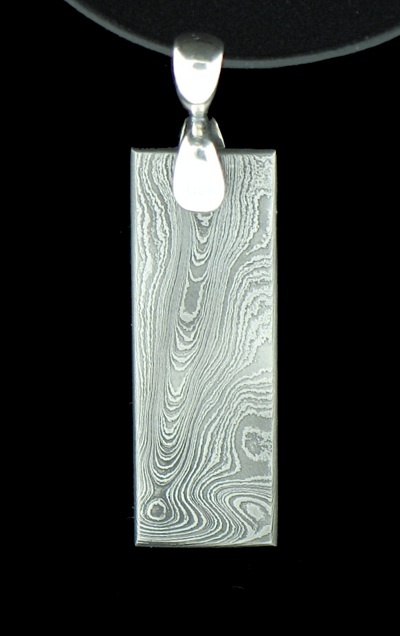 dimensions of pendant 1" x 0.75". Orion Meteorite Constellation Pendant. Elegant Gibeon meteorite set with 2mm & 3mm Chatham Sapphires and Rubies in white Gold. Approx. dimensions of meteorite 2" x 1.25". Leo Meteorite Constellation Pendant. 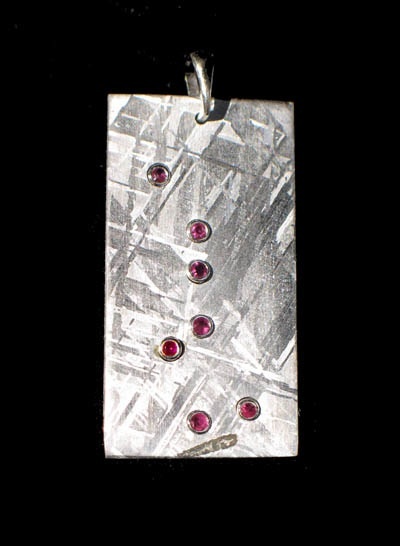 Elegant White Gold, Ruby & Gibeon Meteorite Pendant. Approx. dimensions of meteorite 1.5" x 0.75". Also available with Sapphire or Diamond setting. We can make virtually any Constellation! Please enquire for pricing. Ursa Major "Big Dipper" Meteorite Constellation Pendant. 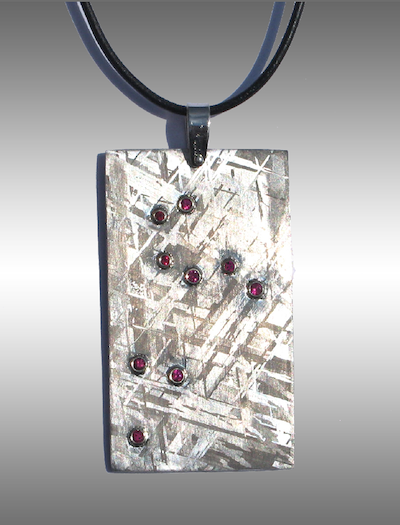 Elegant White Gold, Ruby & Gibeon Meteorite Pendant. Approx. 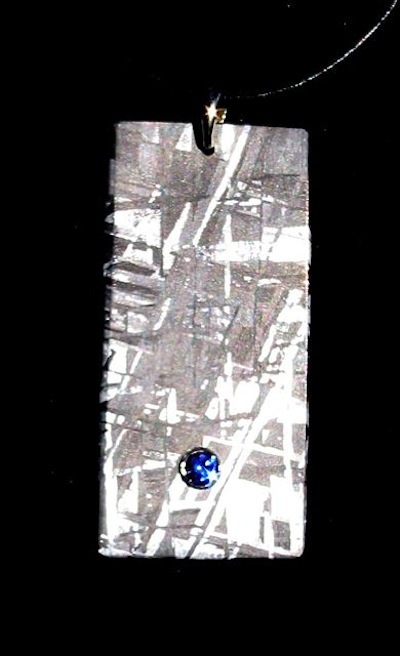 dimensions of meteorite 1.5" x 0.75". 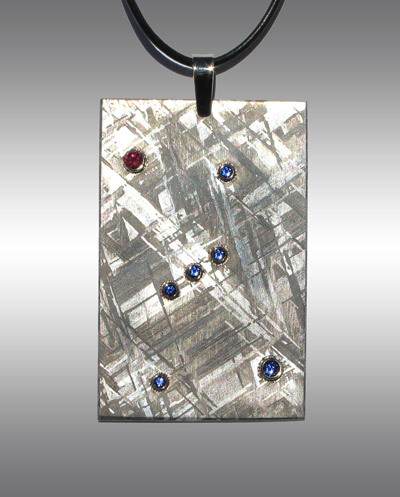 Ursa Major "Big Dipper" Meteorite Constellation Pendant. 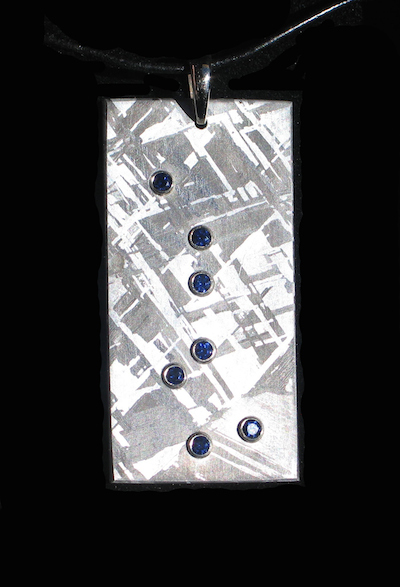 Elegant White Gold, 2.5mm Chatham Sapphires & Gibeon Meteorite Pendant. Approx. 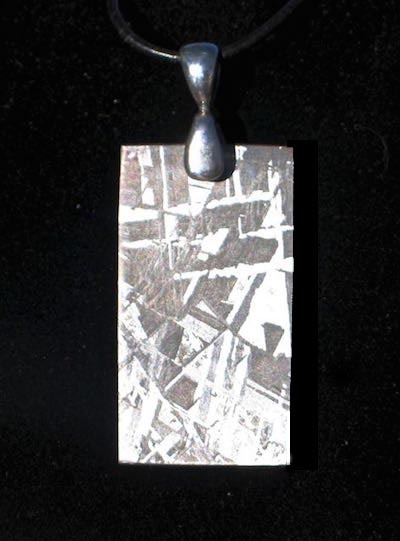 dimensions of meteorite 2" x 1". We can make virtually any Constellation! Please enquire for pricing. Stunning Diamond Meteorite necklace. 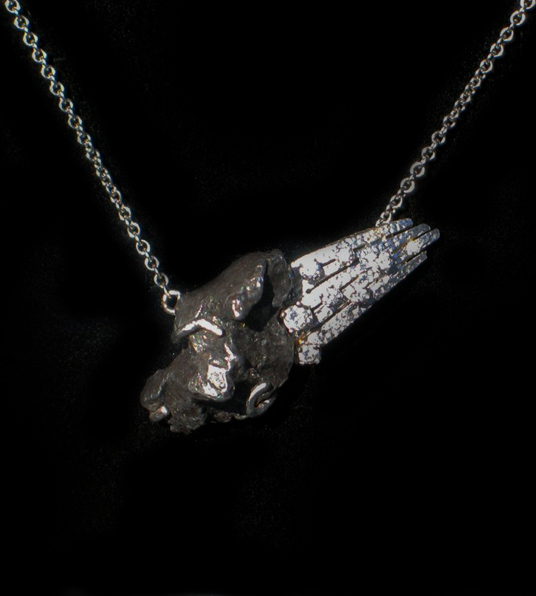 This necklace features a beautiful Gibeon meteorite set with two 0.23 carat diamonds in white gold. Approx. dimensions of meteorite 2" x 1". 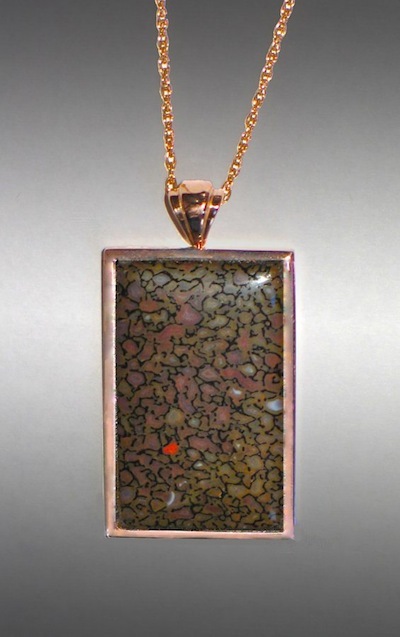 Stunning Opal & Meteorite necklace. 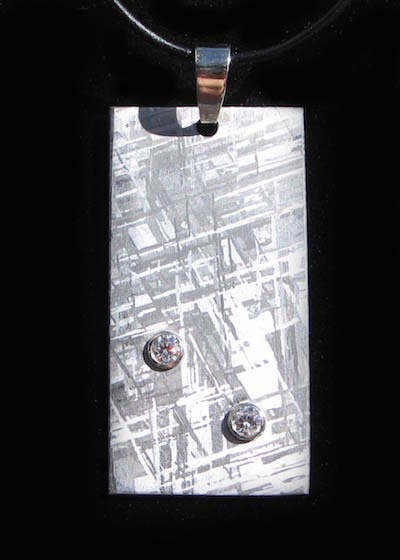 This necklace features a beautiful Gibeon meteorite & 14k white gold pendant set with beautiful 3.5mm opal in white gold. Approx. dimensions of meteorite 1.5" x 0.75". 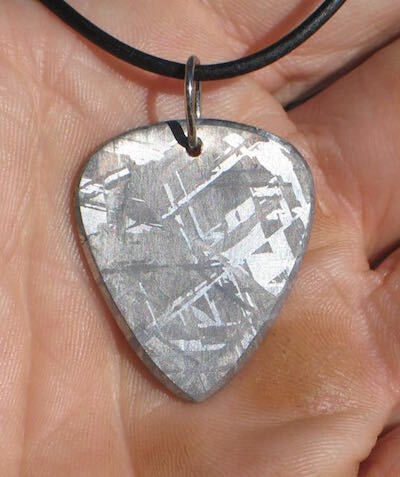 Elegant Gibeon meteorite guitar pick pendant with 14k white Gold bail. Shooting star meteor necklace. 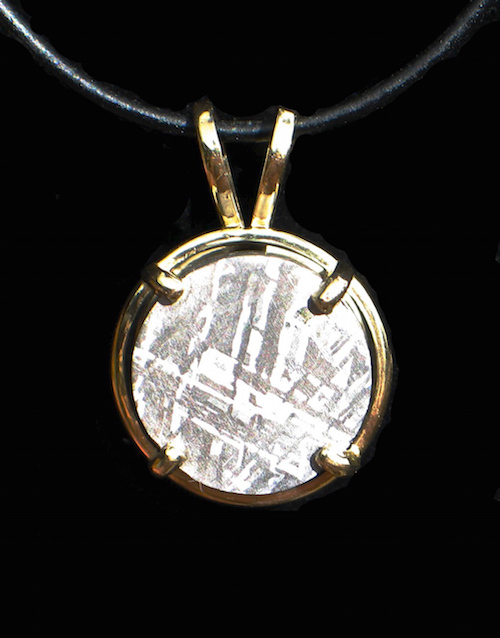 Authentic Sikhote Alin meteorite set in 14k white gold with seven diamonds and a 14k gold chain. 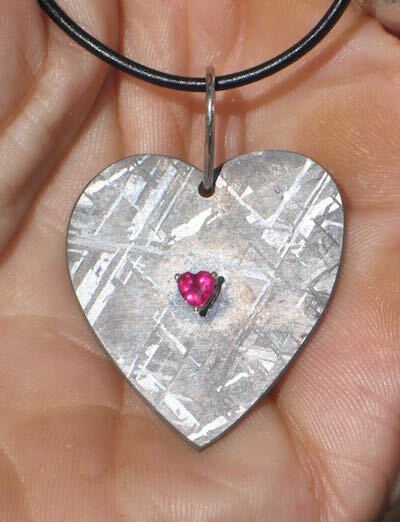 Elegant Gibeon meteorite heart-shaped pendant w/ Created heart-shaped Ruby and 14k white Gold bail. 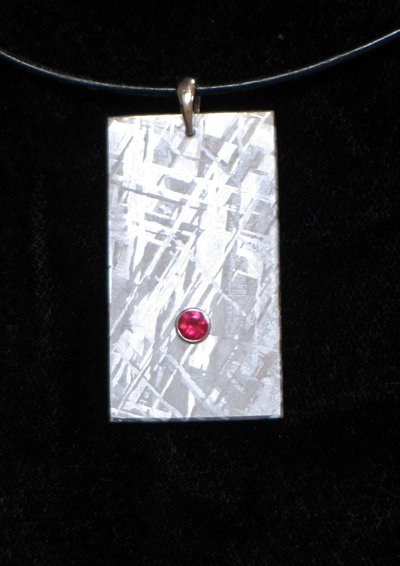 Elegant White Gold & Gibeon Meteorite Pendant with 3.5mm Ruby. Approx. dimensions of meteorite 1.5" x 0.75". Also available with Sapphire or Diamond setting. Please enquire for pricing. 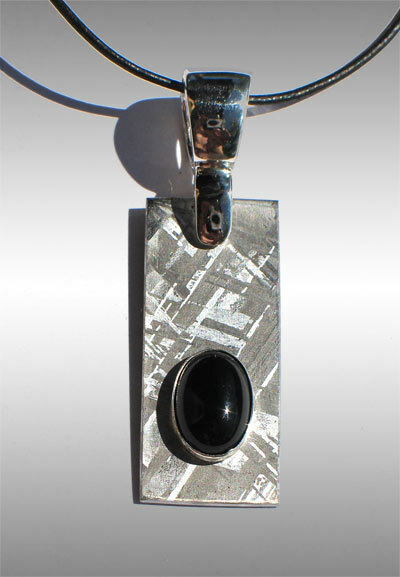 Elegant White Gold & Gibeon Meteorite Pendant with 3.5mm Chatham Sapphire (Stock Photo). Approx. 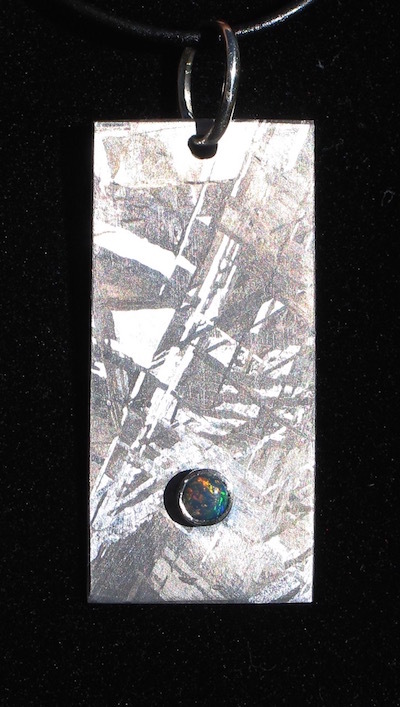 dimensions of meteorite 1.5" x 0.75". Also available with Ruby or Diamond setting. Please enquire for pricing.